My daughter is now 26 yet I can still feel distress when I’m not able to reach her by phone. The parental mind seems to go instantly to fear that something has happened to our child. 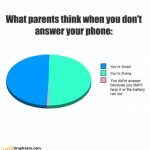 I laughed so hard when my daughter showed me this pie chart of what parents think when kids don’t answer their phones. We usually go to thinking our child is either dead or dying. The piece of the pie where we think the reason is due to their phone either has a low battery or just that they didn’t hear it is so tiny. This tiny place is the conscious place I have to force my mind to go to in order to keep my sanity. Especially during the teen years when I knew she was out with friends. Only a week ago I couldn’t reach her for 10 hours over night. In the morning, my husband and friends gently reminded me that she is just fine, that she isn’t dead or dying. She was fine. Her phone had just died; not her. 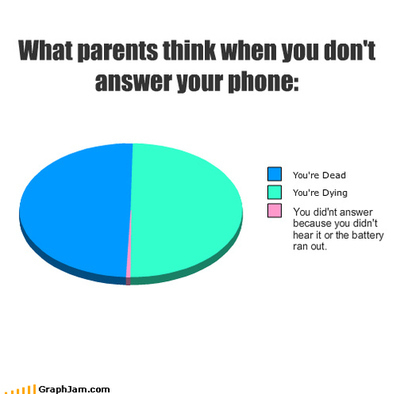 Where do you go when your child or other loved one doesn’t answer their phone? When you want to problem solve the issue of cell phones, it’s important to understand ownership of problems. Regain more sanity as you enjoy my article on whose problem is it? 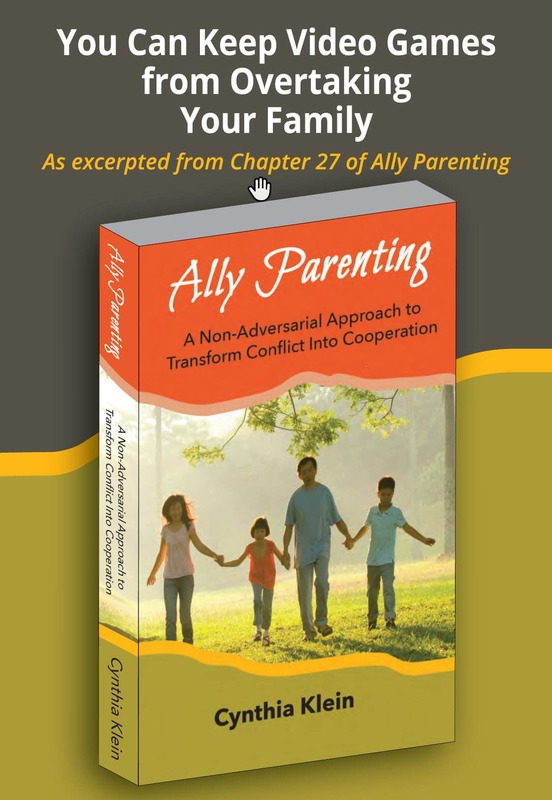 To learn how to create greater harmony in your home, contact Cynthia Klein, Certified Parenting Educator, at bridges2understa.wpstagecoach.com, or 650.679.8138.